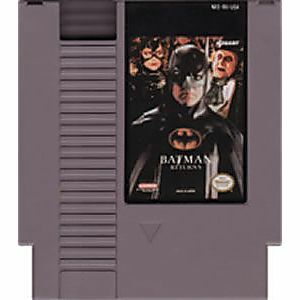 Batman Returns original NES Nintendo Game cartridge only - Cleaned Tested and Guaranteed to Work! A great beatemup for the NES although only single player. Gotta love the batmobile sequence! Nice dark colors & music fitting for Batman. I prefer this version over the SNES one. This game got a bigger upgrade compared to the first one and more challenging! Its a lot of fun but have not beat it yet! I got a lot more batman games to play so have not decided yet which is best! 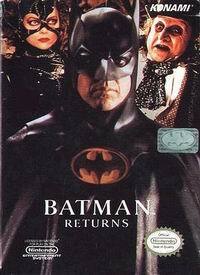 Batman Returns is an action/beat 'em up/adventure game. 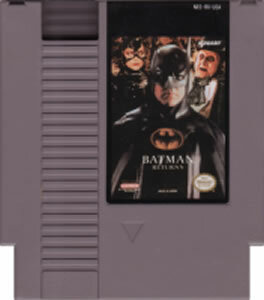 It's the 3rd Batman game released on the system, and in my opinion, is the best. It has great graphics, and music. The game has many different types of gameplay, which is uncommon with NES titles. Most people remember the SNES version, but the NES version should definitely not be overlooked.